Get ready to enter a new dimension with the new GoFoil. The newly designed fuselage and wings provide the perfect amount of speed and lift to ride any swell! This design allows the board and foil to poistion perfectly on the swell. This foil can be added to a paddle in surf board, paddleboard or kiteboard. 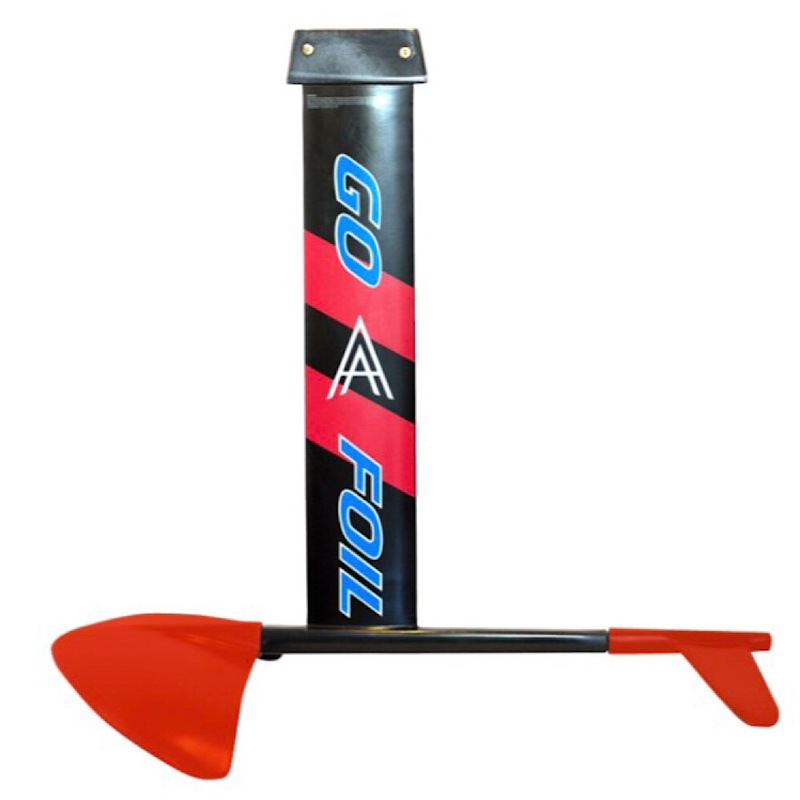 This is our All Around Surf Foil set up that is designed for beginners to advanced riders for SUP and Surf foiling . It is also a great foil to learn with by being towed behind a boat. (For downwind foiling this would be for very advanced riders only). Attached it to my favorite small wave short board. I have been able to ride multiple waves for 100+ meters without ever getting off the foil! And they only need to be knee high! If you live on the east coast and are most often dissapointed with the quality of the surf, this will allow you to surf every day! This thing defies all odds! One of the coolest feelings that you ever feel. I have attached it to a kite board and paddle board, they both are a ton of fun. It is a lot easier to get up on foil with the GoFoil than any other setup i have tried. You really don't need much of a swell to get going. This piece of equipment will open up many opportunities.